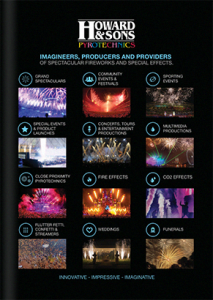 The Howard & Sons Pyrotechnics entertainment productions department consists of a passionate team of firework experts completely dedicated to designing, enhancing and delivering close proximity pyrotechnics and special effects, producing presentations from one-off product or album launches to year-long, world tours. 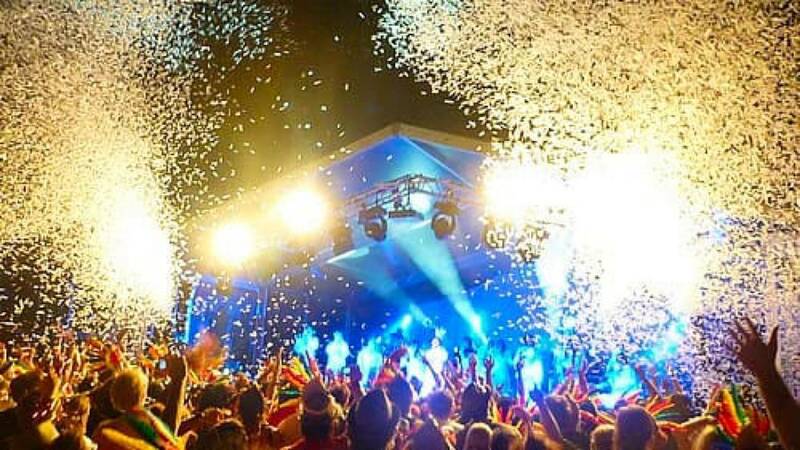 Howard & Sons specialise in designing and presenting spectacular pyrotechnic special effects to add impact to your band, orchestra or theatre production tour, film premiere, after-show party, circus parade, social media event or any other occasion that brings your name or production into the foreground. 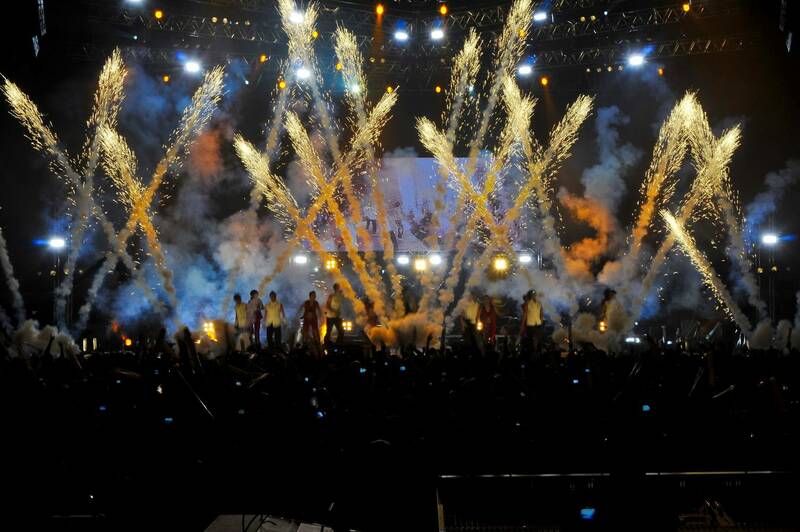 We can design specific pyrotechnic effects which blend perfectly with your theme or production type. From the loudest and brightest heavy metal set to softly coloured Chopin raindrops of light, we can design and create a visual display to delight your audience. As world-renowned experts in the field of flame and atmospheric effects with ample experience in theatre productions, social media parties and musical events, our talented imagineers use their endless creativity to set up locations to reflect a particular theme. The pyrotechnics world has come a long way since the special effects department at Shakespeare’s Globe wrapped gunpowder in thick paper and lit it to represent lightning during theatre productions like The Tempest. While modern safety regulations forbid the use of such low-quality and highly dangerous effects, technology has rendered pyrotechnics and SFX to be almost limitless; Howard & Sons design and produce stunning and highly sophisticated effects without causing physical, material or environmental harm. 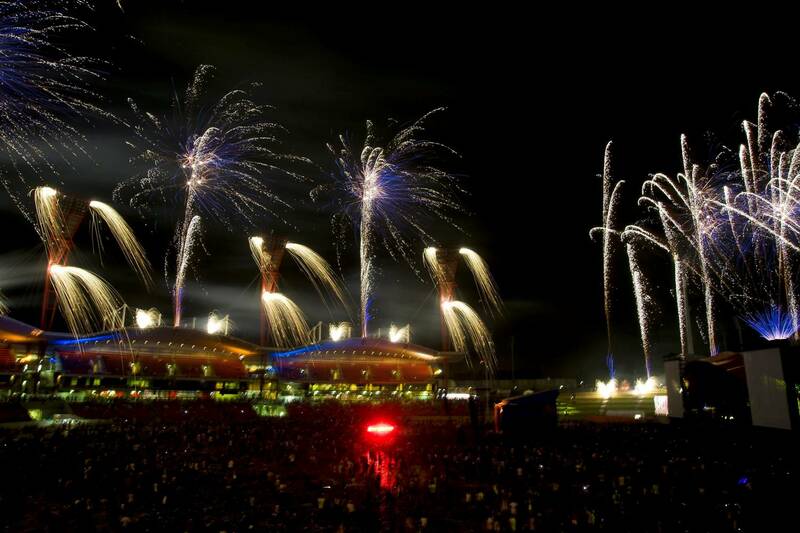 We will work closely with your event and production management crew, producing a pyrotechnic or special effects display completely customised to your event in its concept, design and implementation. For touring productions, Howard & Sons has its own dangerous goods transport and highly professional chauffeurs. We can choreograph every step of your pyrotechnic show with your set, or time an effect to coincide with a production cue. Our entertainment productions department team of professionals is experienced in working with other events companies such as those responsible for staging, rigging, lighting, audio, venues, freight, logistics and travel. This means we can guarantee that each element of each production works harmoniously, productively and safely together, creating a seamless, perfect and spectacular show. See a 60 second showreel of some of our sporting event projects. 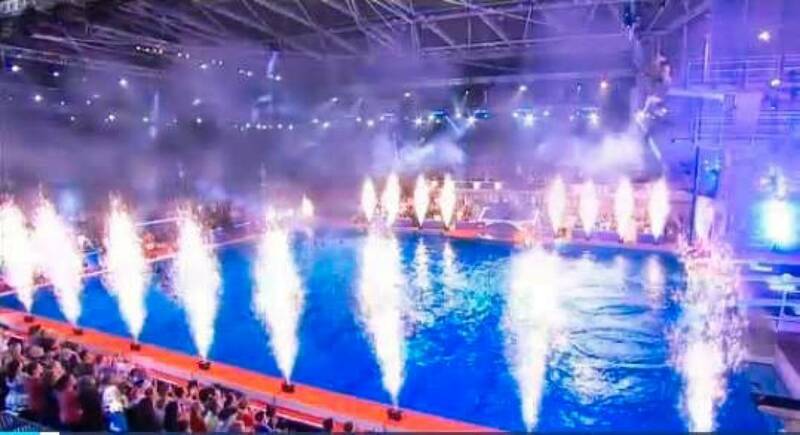 These include Close Proximity Pyrotechnics Effects, Flame Effects, Flutter-fetti & Streamer Effects, Atmospheric Effects and Custom-made Special Effects.